I love it when I discover ways to simplify weeknight dinners. I’ve found that one-pot dinners and side dishes are the answer to keeping family meals on the quick and easy side. 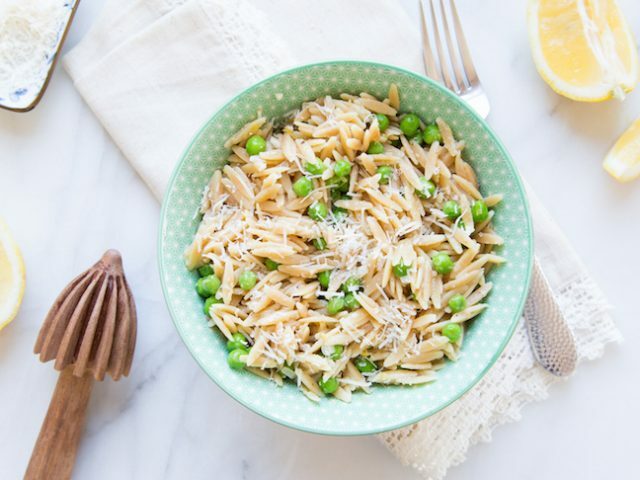 If you haven’t already added orzo to your weeknight meal rotation, then this delicious, no-fuss lemon orzo recipe with parmesan and peas will instantly make you a convert. It’s a favorite in my family, and it’s toddler approved! Even better, cleanup is a breeze—it only dirties one pan! 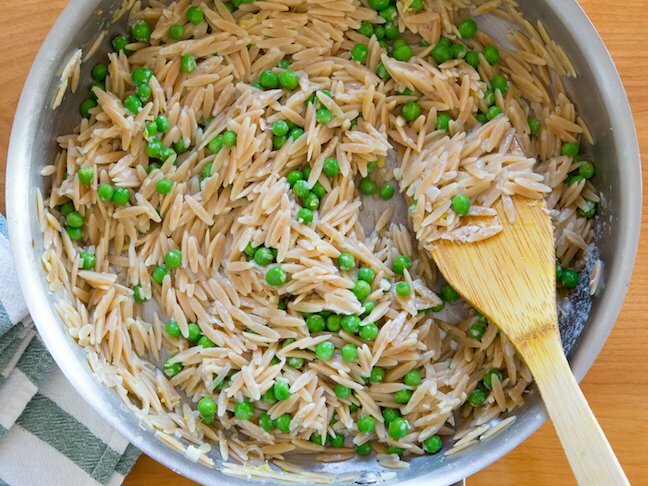 To make it, all you need are about 20 to 25 minutes, one pot, some orzo (I use whole-wheat orzo), some garlic and shallots, broth, parmesan cheese, peas, and a little lemon zest and juice. That’s it. Cook your pasta (you don’t even need to drain it), then toss in the rest of the ingredients. 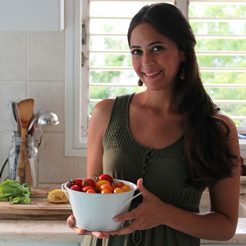 The hardest part is actually restraining yourself from eating giant spoonfuls before serving. Get dinner on the table in a hurry with this incredibly simple, one pan lemon orzo with parmesan and peas. Step 1: Heat the olive oil and butter in a large sauté pan with high sides over a medium flame. Add the minced shallot and garlic, and sauté until they're soft and fragrant, stirring occasionally. 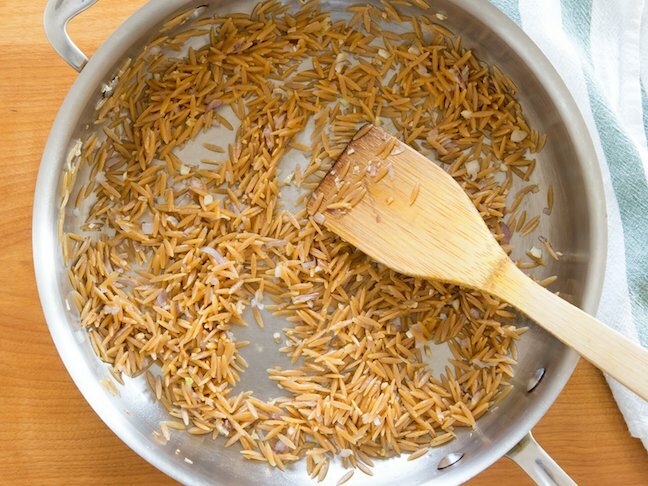 Add the orzo to the pan, and toast for about one to two minutes. Step 2: Add the broth and salt to the pan and bring to a boil. Once the liquid boils, reduce the flame to a simmer, and cover the pan. 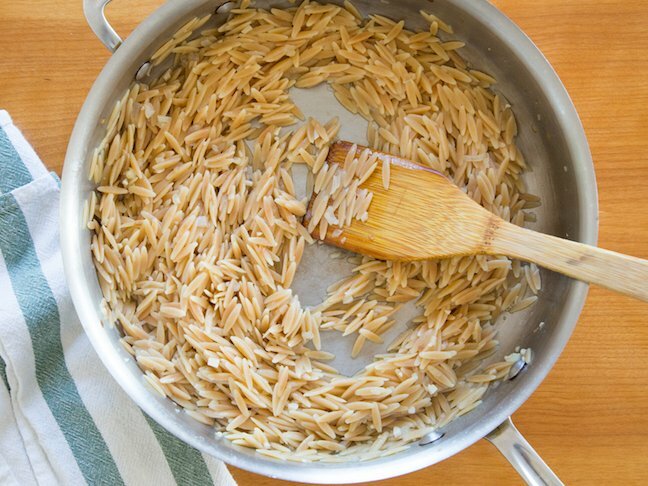 Allow the orzo to cook for 10 to 12 minutes or until the pasta is cooked and all the water has been absorbed. If the orzo is fully cooked, but there is still broth in the pan, you can always drain the excess liquid using a colander. 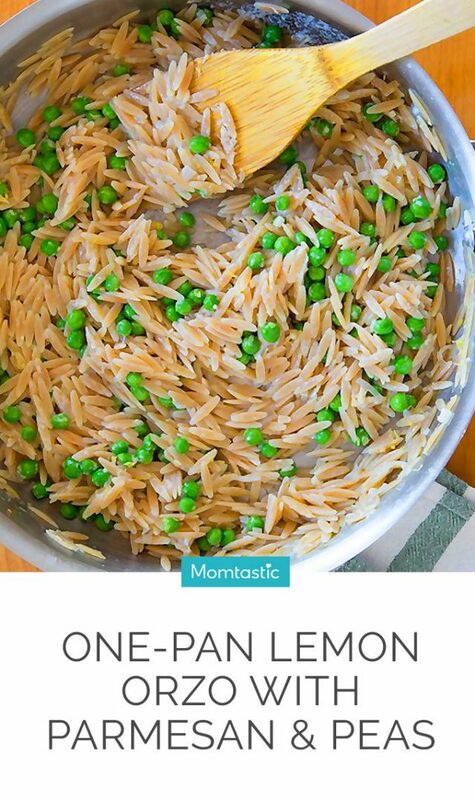 Step 3: Add the peas, parmesan, lemon zest, and juice to the pan, and fold into the orzo. Drizzle a little extra olive oil into the pan, and cook together on a medium flame for two to three minutes or until the peas are warm and bright green. Season to taste with more salt, if needed. Serve with extra grated parmesan.